Thanks to Brian McNeal of the Prescription Bluegrass Blog (USA) for this news: the iconic Dolly Parton announces that her new album, Blue smoke on Dolly Records, is to be released in the USA by Sony Masterworks on 13 May 2014, and later in other countries. It is already available in Australia and New Zealand. The release will be followed by a tour extending to Europe, where the first show will be in Liverpool, England, on 8 June. Three concerts in Ireland will be followed by twelve in Britain, two in Germany, and one each in Denmark, Norway, Sweden, and Switzerland, the final show being on 14 July. Full details of the schedule can be seen here. Ms Parton - once described by old-time music scholar Tony Russell as 'the old-time music enthusiast's favourite country singer' - has already recorded a bluegrass album, and Blue smoke comprises music from several genres, including old-time and bluegrass. Tracks can be heard on the 'Music' page of her website. Ondra Kozák (CZ) released his debut CD Ataman recently. It contains eleven original compositions by Ondra, in which he is featured on acoustic and electric guitars, mandolin, violin, bass, percussion, drums programming, and vocals. Special guests include Ondra's wife Marta on piano, Karel Začal on dobro, Vít Hanulík on mandolin, and Filip Baťo on banjo. Ondra's new record can be heard and purchased, both as digital album and compact disc, from his Bandcamp site. It will also be available at his live shows (see his online schedule) with East-West, G-runs 'n Roses, or Fragment. The programme supports the European World of Bluegrass Festival, which will be held next on 29-31 May 2014. * Programmes in this series are broadcast live on Radio Free FM and Countrymusic24.com and are repeated on Countrymusic24.com on Saturdays at 1:00 p.m. (European Continental time). Antistatic Country Time can be heard on Radio Free FM's live streaming Digital Audio Lounge. Playlists and links to streaming radio for the Swiss Bluegrass Music Association's radio show are on the SBMA website. C. Paul 'Dobroman' Lyttle and the organising committee of the Moniaive Michaelmas Bluegrass Festival (MMBF) in Scotland announce that tickets are now on sale for this year's event (26-8 Sept.). Tickets can, for preference, be bought through this page on the website. Non-online purchases can be made by e-mail. In September (subject to availability) it will be possible to buy tickets for single events. Tickets can only be reserved if bought in advance; early booking is advised, as a few would-be attenders had to be turned away last year. The MMBF website header (above) shows the Broken Strings band from Northern Ireland on stage; this year, as it happens, is one of the rare times the Festival has not had at least one band from Ireland on the bill. Wolfgang Mark, of the press office of the City of Bühl, invites media representatives to a press conference on the forthcoming 12th International Bühl Bluegrass Festival (2-3 May 2014), which will have the Grammy-nominated all-women band Della Mae (USA) at the top of the bill. Yesterday (26 March 2014) the International Bluegrass Music Association announced that booking of registration, hotels, and tickets for this year's World Of Bluegrass (WOB) will soon be open - on 31 March for IBMA members, and 14 April for the general public. The World Of Bluegrass - IBMA's annual bluegrass music homecoming comprising business conference, trade fair, awards show, and festival - is scheduled for 30 September–4 October in Raleigh, North Carolina, and will build upon last year's tremendous success with new activities, seminars, and opportunities for attenders. WOB was held at Raleigh for the first time in 2013, and proved to be an amazing rejuvenation of the events and the bluegrass community, with total attendance for the week estimated at 146,000, exceeding all expectations. This year's event will incorporate many further improvements, based on feedback from those who attended WOB in 2013. Full details are on IBMA's online press release. Thanks to the FOAOTMAD weekly news blog for the news that the Corn Potato String Band (USA) will be on tour in Europe from 23 May to 5 July. After ten shows in England, Wales, and Scotland, they will cross to Ireland for ten further dates beginning with the Westport Folk and Bluegrass Festival in Co. Mayo and including the Open House Festival in Belfast. They will conclude the tour in Sweden, at the Vinterviken Bluegrass Festival (3 July) and the Torsåker Bluegrass Festival (5 July). All members of the band are multi-instrumentalists with distinguished careers on the old-time scene. More details, together with full tour dates and tracks of their music, are on their website. Also visiting Europe in this spring are Cahalen Morrison and Eli West. They took part in Rainer Zellner's Bluegrass Jamboree! in 2011, along with the Deadly Gentlemen, who were on the International Bühl Bluegrass Festival last year, and Della Mae, who will be on this year's Bühl festival. Cahalen Morrison and Eli West will be in Britain and Ireland from 30 Apr. to 17 May. Tracks from their new CD, I'll swing my hammer with both my hands, together with YouTube videos, and more of their music can be heard on their website. Multi-talented singer, songwriter, multi-instrumentalist, and 2014 double Grammy nominee Sarah Jarosz (USA) will be playing four dates in Ireland and ten in Britain in the coming summer, supporting her latest release, Build me up from bones. From 16 to 19 July she will be performing in the cities of Kilkenny, Dublin, and Cork, and the village of Cloughanover, Co. Galway, before a series of shows in Scotland, Wales, and England, culminating in the prestigious Cambridge Folk Festival (2-3 Aug.). Sample videos of her performing can be seen on YouTube here, here, here, and here. As mentioned on the EBB on 6 Mar. 2014, Tumbling Bones (USA), from Portland, Maine, will make a six-week tour in Ireland, Germany, and Britain, beginning on 10 April. They will be playing at the 12th International Bühl Bluegrass Festival in Germany (2-3 May). Earlier this week (18 Mar.) their first full-length album, Loving a fool, was released for digital download from their Bandcamp site. It will be released on CD in Europe on 31 Mar. (thus available on the tour) and in the US on 3 June. Tumbling Bones, 'a group of young men inspired by old music', consists of Kyle Morgan (vocals, guitars, upright bass, piano, organ), Jake Hoffman (vocals, upright bass, banjo), and Pete Winne (vocals, guitars, banjo, harmonica, buck-dancing). More details are on the band's latest e-newsletter. Friday 21 Mar., 21:30, at 'Pablo 71', Via Clementi Muzio 148, in Aprilia (Latina), south of Rome in the Anzio direction. March 19, 2014 (Wolfville, NS)—The Spinney Brothers, "Canada's International Bluegrass Band," have decided to postpone their European Tour originally scheduled for next month. "It is with regret that we announce the postponement of our European Tour, originally scheduled for April 2-12, 2014. As many of you know, planning an extensive trip overseas can be quite time consuming and every detail must be planned prior to a band's departure from home. With the tour scheduled to take place in just a couple of weeks, we felt there were too many details yet to be finalized, bringing us to the inevitable decision to reschedule our first tour of Europe. We'd like to thank Angelika Torrie for all her work in the initial stages of this tour. It is our sincerest desire to bring our traditional bluegrass show to European bluegrass fans and we eagerly anticipate the opportunity to book an expanded tour, and look forward to it being a positive experience for everyone involved." For more information on The Spinney Brothers, visit www.SpinneyBrothers.com. Last year Wintergrass was organized for the third time in the city of Groningen (the Netherlands), with a lot of succes. Therefore we got the idea to organize a beautiful bluegrass-event in the summer also. Next to the big GrevenGrass festival in june we would like to invite you to the first Summergrass Festival in Greven-Reckenfeld. The festival will take place from the 25th until the 27th of july. Along with Olaf Rickerman, the host of the beautiful country house with the same name, we will provide a nice location. There will be room available for caravans, mobile homes and tents. Sanitary facilities will be available. Non-campers we will have the possibility to rent apartments or rooms. Camping at Rickermanns is free of charge! "Landhaus Rickermann" will provide gastronomic meals during the festival, but you'll have the possibillity to cook your own meals at the campsite. In the photographs you'll see both Kristy Cox and Travis List, the Landhaus Rickermann and our festival banner. Dit album bevat 4 foto's en blijft beschikbaar op OneDrive tot 15-6-2014. Spring is coming. GrevenGrass too. The organising committee of the Spring Bluegrass Festival in Willisau, Switzerland (www.bluegrass-willisau.ch) has announced the full programme for the 15th jubilee edition of their successful event which will feature more music than ever. Their updated website features short presentations of all bands appearing (in German). The festival schedule will be online at the end of March. The Karl Shiflett & Big Country Show's appearance is an absolutely exclusive one; the band will be flown especially for the festival. The Karl Shiflett & Big Country Show will also perform in a more intimate setting in downtown Willisau on Friday, May 23 and at a church service at the festival site on Sunday, May 25, 2014. Advance ticket sales have been very strong so far and a sold-out festival is expected. The organising committee is looking forward to meeting old and new friends as well as a formidable set of bands from all over Europe and the USA. Adiaha Bürkmiller is happy to announce Henrich Novák, "the Jerry Douglas of Europe" as this year's resonator guitar teacher at Adiaha's Bluegrass Camp 2014. "A mega luminary again" praises one of the already registered dobro students happily. Make sure to register soon to save your slot, there are only 15 places available in the dobro class! Thanks to Oliver Waitze of the New Acoustic Gallery (NAG) in Wuppertal, Germany, for the March 2014 issue of its newsletter. The NAG stocks the finest acoustic instruments and accessories for bluegrass, gypsy music, and other genres, offers a repair service, and organises workshops and concerts. The NAG was closed on 14-15 March because of this year's Musikmesse at Frankfurt, where the Kruger Brothers are at the Deering Banjos stand on all four days. New instruments obtained from the Musikmesse include a Deering Eagle 2 5-string banjo, a Prucha F5 T custom mandolin, and a Deering Tenbrooks Custom Legacy banjo in quilted mahogany with curly maple binding. More news from the Musikmesse will be on the NAG website next week. * a flat-picking / plectrum guitar workshop with Oliver Waitze on Saturday 12 April (10:00-17:00); booking (€100) and information: +49 0202/94672730. * a one-day mandolin workshop with Mike Marshall (above) on Saturday 26 April - a day of intensive mandolin instruction with this master mandolin virtuoso, concentrating on tone production, clear articulation of notes, left-hand work, chord-finding, and rhythmic patterns in various musical genres, with opportunities for playing in a 'one on one' master-class setting. Booking (€150) and information: +49 0202/94672730. Mike Marshall has also announced that the second edition of his popular book Brazilian choros, in a larger easy-reading format, with 23 new tunes, three solo mandolin arrangements, two transcription rhythm guides, and discography, is now available. The many instruments and accessories now in stock at the NAG include a Roberto Pozzi classical guitar, Santa Cruz DA-1 and 'Norman Blake Rising Fawn' model guitars, Maurice Dupont Django-style guitars, a National Resophonic Delphi, Blue Chip picks, Alessi geared tuning pegs for classical or steel-string guitar, Fishman Loudbox speakers, and much more. Full details, together with many photos, are on the NAG news page. Thanks to Fiachra Cunningham, fiddle player with the six-piece Americana/bluegrass band Rackhouse Pilfer (above) based in Sligo, in the north-west of Ireland, for the news that the band are launching their second album, Love and havoc, this weekend with two concerts (Saturday 15th and Sunday 16th) in the Model Arts Centre in Sligo town. Launch concerts will also be held in Dublin on Friday 21 March and in Galway city on 22 March, followed by a six-week tour all over Ireland. More details and full tour dates can be found on Rackhouse Pilfer's website and Facebook page. We're delighted to bring back a great album to release in Ireland and Europe. The release of a new album, There's no greater message, by Jussi Syren & the Groundbreakers (Finland) is announced in the March 2014 issue of Bluegrass Unlimited magazine. This is the first gospel album the band has recorded, and it is firmly in the uncompromising, hard-core traditional bluegrass vein which they have made their own. Sample tracks can be heard on the band's website and on Jussi's blog, and the album can be bought for €20 through the merchandise page of the website. Jussi Syren & the Groundbreakers are also on Facebook and MySpace. We have assembled a stellar line-up of International Bluegrass professionals to guide students of all playing levels through the finer points of playing & singing this authentic American musical art form. The workshops will include theoretical as well as hands on instruction with an emphasis on "Jam Session Survival". We invite Bluegrass musicians of all playing levels to join us for a fun filled weekend of interacting with other musicians and learning traditional Bluegrass styles taught by the best professionals in the industry. Our staff Jam Sessions each evening will be an added bonus not to be missed! We look forward to meeting you in Fischbachau! Niall Toner, who received the first EBMA European Bluegrass Personality award a year ago, will be playing a special concert in Dublin a week from now, at the Stag's Head, Dame Court, Dublin 2. The location holds many memories for Niall, as he played weekly shows of bluegrass and old-time music there throughout 1976 as a founder member of the Sackville String Band. On Sunday 16 March, backed by Richie Foley (mandolin), Kelvin Busher (bass), and Johnny Gleeson (dobro), Niall will be performing songs and tunes from his album Onwards and upwards, on the US label Pinecastle Records. The album will be available for purchase at the show, which will run from 4.00 p.m. to 6.00 p.m. Tickets (€8.00) can be pre-booked through Barry Hartigan by e-mail. On 26 April Niall will be in North Carolina, playing four sets at this year's MerleFest, the world's most prestigious 'tradition-plus' Americana festival. On Friday 30 May 2014 the 2nd Italian Bluegrass Meeting will be held in Sarzana, as a part of the 17th International Acoustic Guitar Meeting (AGM). Since the 2013 edition of the 'Bluegrass Meeting' was a success, the Acoustic Guitar Meeting management decided to renew the event, and charged me again as the organiser of this second edition. Once again we will have the joy and the pleasure of having a whole day dedicated to bluegrass lovers and musicians. From 10.00 a.m. to 7.00 p.m. musicians and bands will be part of jam sessions and workshops, and bands will perform on a dedicated stage in a 'Bluegrass area' inside the wonderful Firmafede fortress. I'm proud to inform you that one of the special guests on the main stage for the evening concert will be Tim O'Brien. During the Bluegrass Meeting Tim will also lead a mandolin workshop. We will also have a banjo workshop and a full-time-no-limits Bluegrass Jam. I have already received a great number of requests from bands and musicians asking to register to the Meeting from all over Italy, and I hope that many others will join us from abroad. The registration can be done writing to my e-mail address. Please indicate name, surname, city and state, phone number, e-mail address, instrument, and band name. Registration is free, and - last but not least - ONLY REGISTERED MUSICIANS WITH SPECIAL PASS WILL BE ALLOWED TO THE BLUEGRASS MEETING AREA. Thanking you for your attention, I'm looking forward to meeting you in Sarzana. The deadline for enrolment in this workshop holiday week is 12 March. I have not had enough enrolment to make the week happen, and I need to let teachers and workers know if it is on, as they have been holding the dates, waiting to make their plans. So, if you suddenly realise that you simply must come, let me know by then! Tutors announced for the May week include Dave Bing of West Virginia. Details for other workshops in 2014 can be seen here. Contact Kate by e-mail. Tumbling Bones (USA) from Portland, Maine, will be making a six-week tour in Europe this spring, centred on the 12th International Bühl Bluegrass Festival (2-3 May) in south-west Germany. The tour begins on 10 April with their third visit to Ireland, where they will be in residence during the weekend 19-21 April at the Ulster American Folk Park at Omagh, Co. Tyrone (which hosts the annual Appalachian and Bluegrass Music Festival). They will also be playing thirteen other venues in Ireland before the Bühl Festival, after which they will be touring in Britain (8-20 May). Full details are on the band's online schedule. 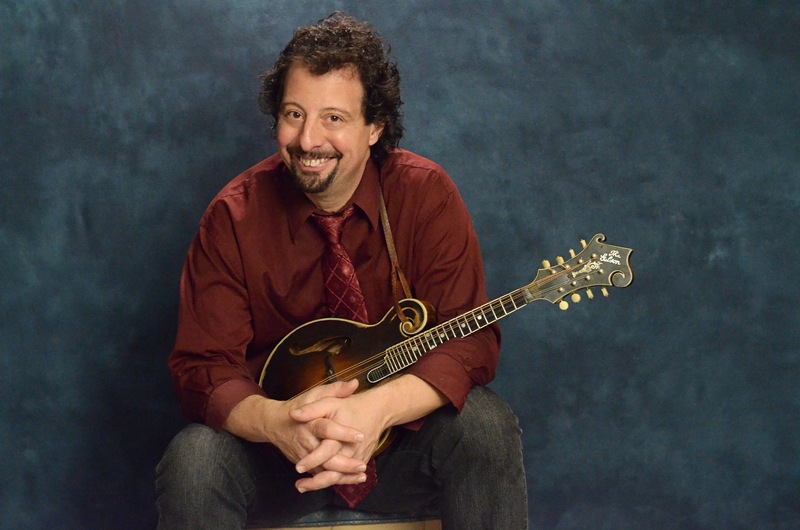 Banjoist, guitarist, singer, and bandleader Danilo Cartia (I) will be performing bluegrass, blues, and other acoustic music in three shows on this coming weekend. On Friday 7 March Danilo, with Fabio Fedra and Alessandro Saba, will be at the Mò Mò Republic, Piazza Forlanini 10, Rome. On Saturday 8 March Danilo will be one of the artists taking part in the Johnny Cash Party at the Big Bang, Via di Monte Testaccio 22, Rome, from 10.00 p.m. And on Sunday 9 March at 6.00 p.m. he and his band will be in concert at the Teatro Spazio 47, Via Pontina km 47, Aprilia (Latina), south of Rome in the Anzio direction. The current issue (vol. xiii, no. 8) of the Old-Time Herald magazine includes a long letter from David Prat Duran in Barcelona, Catalonia, Spain, giving many details of the Barcelona region and the old-time music scene there - including the luthier Sedo García and his fiddling son Adria, the music store Guitarland, the Al Ras Festival, banjo-players Toni Gimenez and Gabriel Ramirez, fiddler Lena Uria, expatriate US musician and dance caller Greg Ryan, and much more. Do you live and play old-time music outside the United States? Write and tell us about your old-time scene! You can contact the Old Time Herald by e-mail. On 7 Feb. the European Bluegrass Blog carried the news that the Isaacs, unquestionably one of the most outstanding gospel groups in bluegrass music, will make a brief tour in Europe towards the end of this month. Yesterday John Lawless posted on Bluegrass Today the news that You don't cry out loud, the autobiography of Lily Isaacs, will be published in mid May 2014. As the news shows, hers is a remarkable story, beginning with her Jewish childhood in Poland. The tour dates, as shown on the Isaacs' online schedule, are as follows. Thanks to Sharon Loughrin of Cookstown, Co. Tyrone, for details of the Northern Ireland concert venues. 24 Mar. Killyhevlin Hotel, Enniskillen, Co. Fermanagh, Northern Ireland, 7.00 p.m.
25 Mar. Craigavon Civic Centre, Craigavon, Co. Armagh, Northern Ireland, 7.00 p.m.
26 Mar. The Spires Centre, Belfast, Northern Ireland, 7.00 p.m.
28 Mar. Zwolle, the Netherlands, 7.00 p.m.
29 Mar. Hilversum, the Netherlands, 7.00 p.m.
30 Mar. Rotterdam, the Netherlands, 7.00 p.m.
Rainer Zellner and his Music Contact team send the latest news on tours by bands in bluegrass and related music in Germany and adjoining countries during 2014. Please note: the latest news can now be seen on the Music Contact Facebook. As it has done for the last three months, the European Bluegrass Blog is now presenting Music Contact tour information to its readers by giving links to the schedules as they appear on the Music Contact website. These contain more information, including links to venue websites and contact data. The EBB also gives links both to bands' own websites in English, and to Music Contact information ('MC bio') about them in German. Honoring one of the greatest musicians and songwriters of the planet, Pete Seeger, a tribute concert will be held in Lisbon, Portugal, on the 5th of March. Numerous Portuguese musicians will sing the most famous Pete Seeger songs, and Ruben de Carvalho, promoter of Pete's only performance on Portuguese soil (1983), will provide an historical intervention about the singer and activist. The tribute concert will start at 9.30 p.m. at the S. Jorge Cinema. The Epiphone Guitar Company is giving away free instruments via online contests during every month in 2014. This month (March 2014) the company is giving away a 'Bluegrass Band'. guitar, mandolin, 5-string banjo and Dobro™ (resophonic slide guitar). People living in some foreign countries are eligible to enter the contest. See "International Rules" on the contest web site for a complete list of eligible countries. Bluegrass 'purists' may wish to know the guitar and Dobro™ have electronic pickup systems installed. On April 1, 2014 one (1) name from each region (USA, CANADA and EU) will be chosen and that winner will receive all 4 instruments!